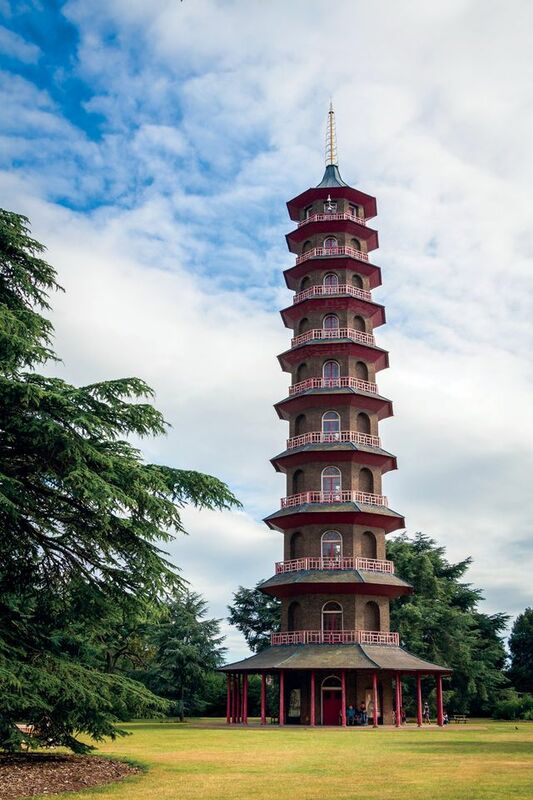 Eighty dragons have now appeared on the Great Pagoda in London’s Kew Gardens, which reopens on 13 July. These represent the final touches of a two-year restoration of the tower, which in 1762 was the earliest significant Chinese-style building in Europe. 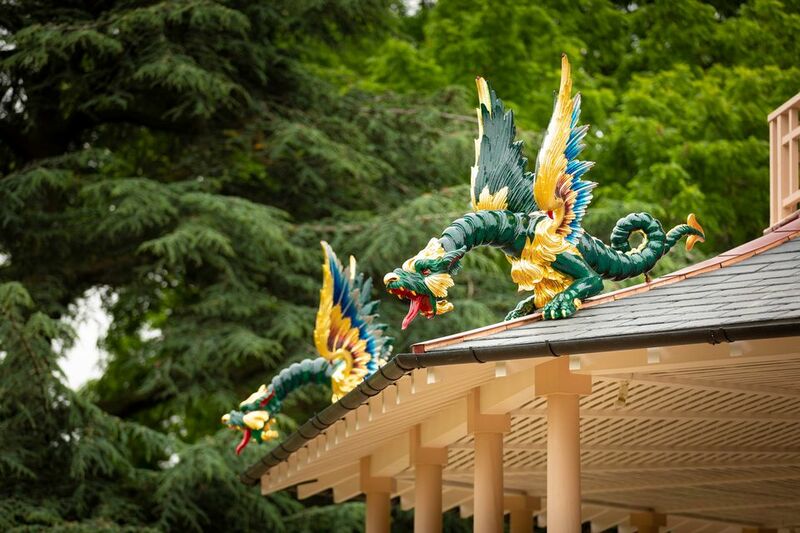 Following a visit to China, the original architect William Chambers had placed eight chinoiserie dragons on each of the pagoda’s ten roofs, but these were removed in 1784. Legend has it that they were sold off to meet the Prince Regent’s gambling debts, although they had probably simply suffered from the British weather. Historic Royal Palaces, which spent £5m on restoring the pagoda, used a 1763 painting by William Marlow to inform the design, as well as other objects with 18th-century chinoiserie dragons. A clay maquette was made, and from this a wooden master copy was carved. Wooden dragons would have been too heavy for the upper roofs so a 3D printer produced nylon ones. For the lowest roof, the 2.4m-long monsters were individually carved from cedar and were then finished with gold leaf and glossy copper verdigris paint. Although visitors are likely to find the dragons gaudy, conservators assure us that this is what they would have looked like when Chambers designed them.